Having your freezer repaired urgently is of the essence! To be certain of that, place a call to us the next time you are in need of freezer repair in Houston, Texas. There is never room for delays when it comes to this kitchen appliance. Even a small problem can cause major issues related to your health while water leaks can cause serious property damage. Don’t postpone your service call. Get in touch with Appliance Repairs Houston the minute you realize the freezer is not working as it should. As soon as you contact us, we go above and beyond to have a Houston freezer technician to your home at the earliest moment possible. Even if this is still a trivial problem, it can easily grow to a big concern. And so we dispatch a tech to your place as soon as it is suitable to you. Trust that all techs working with our appliance service company are experts in their work. They come out well-equipped and thus ready to troubleshoot fridge & freezer models of all sorts and thus provide the necessary repairs. Not only are all techs certified to fix all major brands but have a vast experience in freezer repairs. They have been in the field of fixing home appliances for a long time and will serve you well the first time. Most problems happen when parts break down. This usually happens when appliances wear. But problems might pop if a poor quality spare part has been installed before or a job hasn’t been done right. When it comes to freezers, it’s vital that you trust the best. Choose us to be sure only qualified and licensed kitchen appliance techs fix your freezer. It’s prudent to make an appointment for routine freezer service from time to time. Call our company if you are interested in investing in the maintenance of your kitchen appliance and thus your peace of mind. 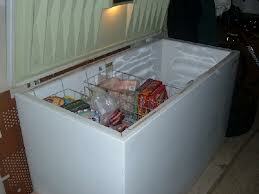 It’s better to prevent troubles than deal with them, especially when it comes to freezers & fridges. 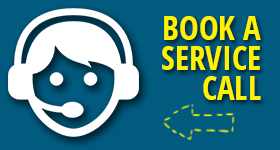 So, call us for routine service too. Get in contact with our company for any service. Whether you like to install a built-in freezer and fridge, fix the icemaker, or maintain the standalone freezer, call us. We’ll send you a Houston freezer repair expert for each and every service.